Payment and the field trip form are due NOW. You will NOT BE ALLOWED ON THE BUS without the field trip form completed and signed. The 7/8 Band and 7/8 Orchestra will travel to Disneyland for a studio session on Thursday, February 14th. Specific details to be shared soon, but mark the date now! If you haven’t already… Now is the time to pay for the 7/8 Band and 7/8 Orchestra Registration costs. The Disney trip (ticket and transportation) is included in the Registration costs. If you don’t remember, please contact our Receivables Treasurer, Jason Northrup. In addition, we must have the field trip form to get on the bus. If you have questions, please contact the 7/8 Parent Rep, Adam Kline. You can now view the group photos taken by Bronson Photography. There are also instructions on how to purchase these photos for both 7/8 and 9-12. Check them out — they are beautiful! 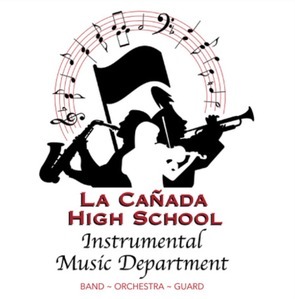 Here is the link to the password protected page La Canada High School Orchestras 2018! NOTE: Volunteers are needed to help serve dinner to the 7/8 and ALF students, 4:45-6:45pm. Please contact Nadia Ali if you are available. *Note: No Winter Drumline or Winter Guard Rehearsals today. After the performance, refreshments will be served outside the Auditorium for the audience and performers. Band – Please bring desserts such as cookies, cupcakes, holiday treats, etc. Next week is the 7/8 Band & Orchestra’s combined Winter Concert with the ALF on Wednesday, December 12th! For planning purposes, call time will be at 5pm. We’ll have rehearsals and then the MPA will provide a pizza dinner. The concert will begin at 7pm. A detailed schedule will be sent next week, but it will be Concert attire.